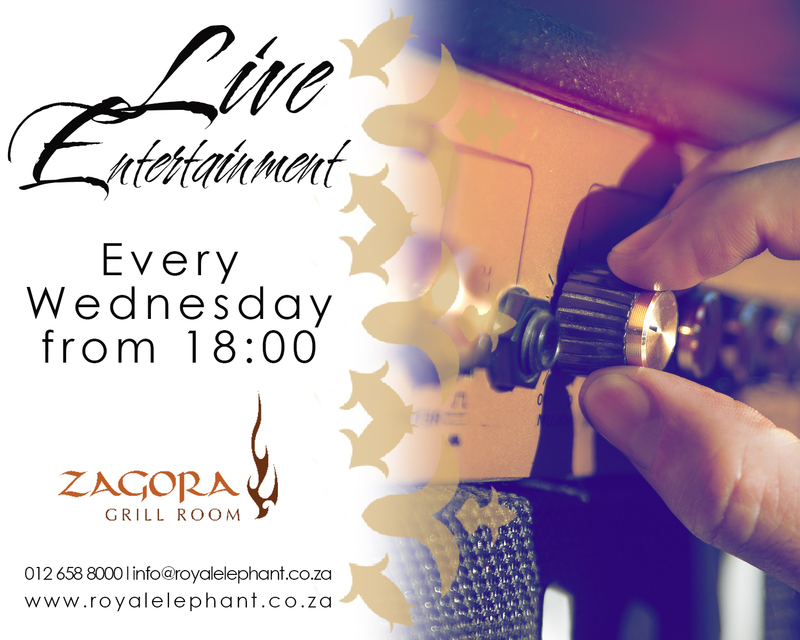 Join us every Wednesday evening for Live Entertainment with Ian van der Linde in the Zagora Grill Room! Ian starts playing around 6pm for a wonderful dinner experience! Please provide a phone number if we need to get hold of you in an emergency. Reserve for Just a MealA CelebrationCappuccino & Cake SpecialHigh Tea (48-hour notice)Pensioner's BreakfastSignature Dish - DinnerSunday Buffet LunchotherWhich Special are you booking for? For Anniversaries and Birthdays, we set up the high-back chairs for the guest(s) of honour. Please indicate in the comments who the Guests of Honour are. Is there anything specific you would like us to know about this reservation?